Rome is a fascinating city filled with history and relevance. Cruises from Rome can take you anywhere around the world, taking off from this extraordinary city for ports of call as far away as Sydney, Australia and Singapore, to name just two. Here are just 10 of the best cruises that depart Rome. 1. Princess offers a 12 day excursion that hits several of the most popular Mediterranean cruise ports including Monaco, Florence, the Greek Islands and Croatia. This cruise departs Rome and finishes in the lovely Venice. 2. Princess Cruises 18 day trip from Rome to Ft. Lauderdale takes you to Naples, Barcelona, England, Morocco, Bermuda and Portugal before heading to the USA. 3. Voyages of Antiquity offers a 14 day jaunt to Cannes from Rome stopping in historical ports of call along the way with an emphasis on the culture, history and significance of each area. This cruise is called the Mediterranean Odyssey and is sure to be a magnificent journey. 4. Cunard lines have cruises from Rome that go to Cannes, along the way stopping in the lovely Greek Islands and Croatia. 5. Princess’s 12 day jaunt takes you on a cruise from Rome to Venice with stops in Portofino, Nice, the Greek Islands and Croatia. 6. The Princess Black Sea and Crimean Coast cruise is a 12 day trip that stops in Turkey, Bulgaria, Italy, Romania and the Ukraine before heading back to Rome. 7. A Princess 28 day excursion from Rome goes to Singapore, stopping in the romantic Greek Islands, the Suez Canal, Egypt, Jordan, the UAE, Dubai, India and Malaysia to name but a few. 8. Cruises from Rome also go further afield like the 48 day trip from Princess that visits 4 continents before you disembark in Sydney, Australia. 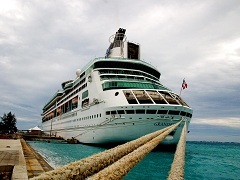 On this cruise you see it all, with stops in the Greek Islands, India, Singapore and many more. 9. Voyages to Antiquity have a 32 day excursion from Rome to Cairo. Visit historical sites and stop in places like the Greek Islands and Istanbul. 10. If you’d like a shorter Italian cruise, then the Cunard offering roundtrip from Rome is for you. Visit the Greek Islands, Nazareth and Israel before cruising home along the Italian coast. Cruises from Rome can take you most anywhere you’d like to visit. With so many things to do in Rome it will be wise to add a few days before or after your cruise so you can see the many sights that make this city famous.